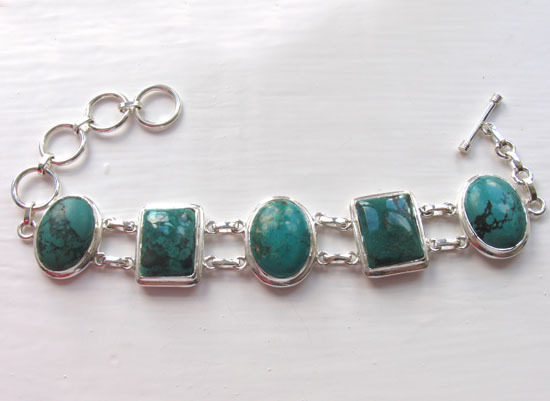 Turquoise bracelet set in sterling silver. 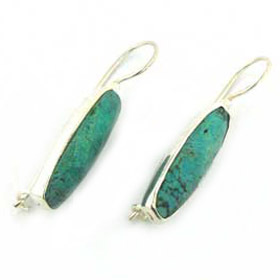 Turquoise is one of the most popular semi-precious gemstones and has been worn by both women and men for centuries. 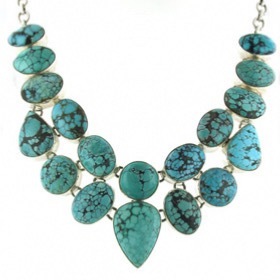 Each piece is unique in colour and matrix and turquoise dresses up or down depending on your mood, outfit or occasion. 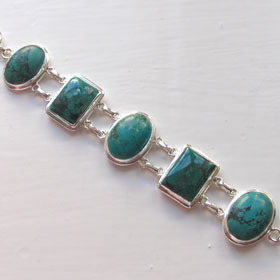 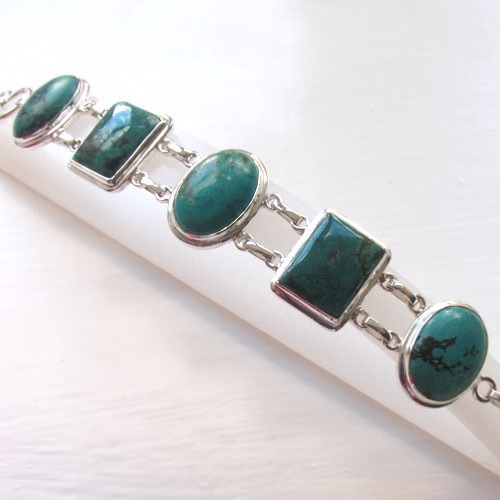 This exquisite turquoise bracelet has five large natural turquoise stones, three ovals and two rectangular. 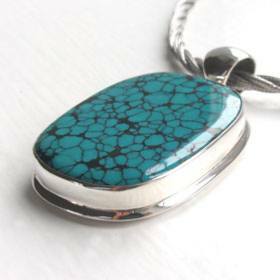 These are Tibetan turquoise stones and are vivid in colour. 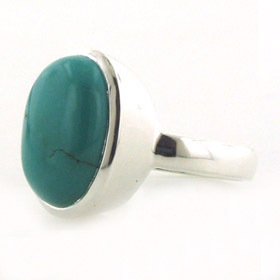 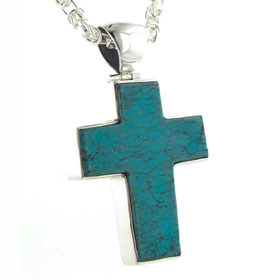 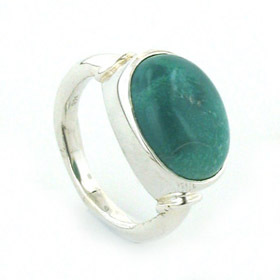 The turquoise is set into plain sterling silver. 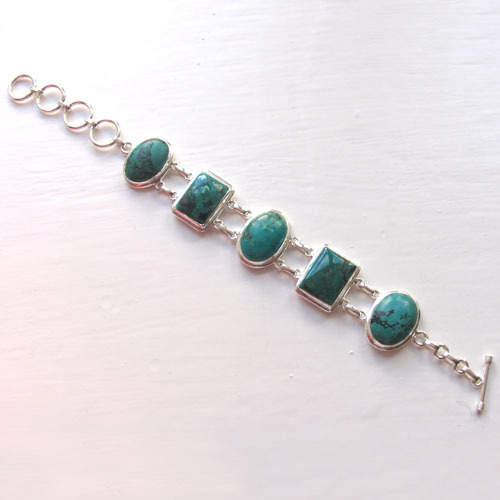 The bracelet closes with a toggle fastener and has three extra links for size adjustment. 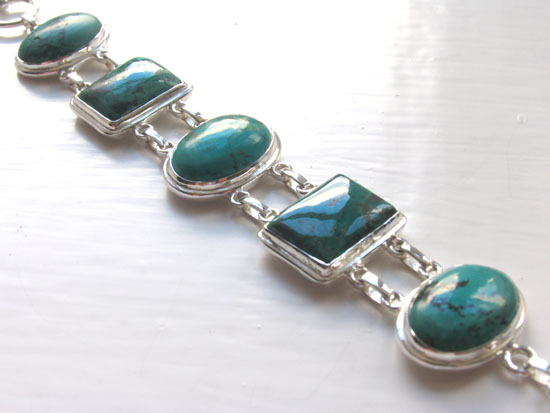 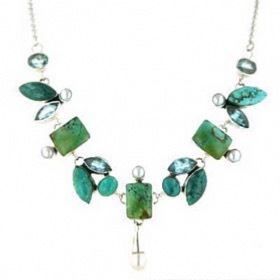 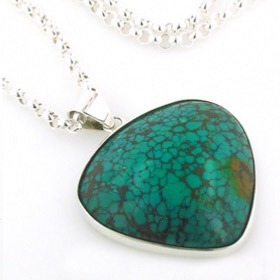 Why not take a look at all our turquoise jewellery?